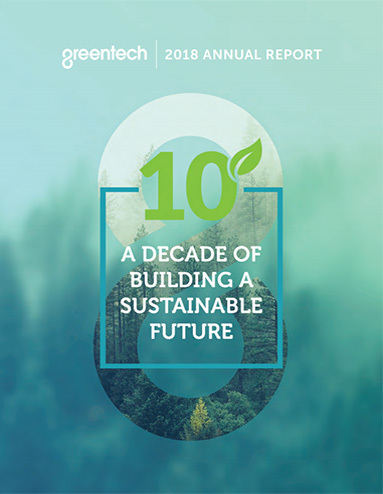 Greentech Capital Advisors began 10 years ago in 2009 with the belief that there would be a coming disruption in our energy, transportation, food, water and waste industries as the world transitioned to lower-carbon, more efficient and more intelligent infrastructure systems. Today, outmoded, highly wasteful 20th century systems are being replaced. Renewable energy, energy efficiency, electric vehicles, smart transportation solutions, precision agriculture, water efficiency, waste-to-value, and the circular economy are among the great growth markets of the coming decades. In the next ten years, the sustainable transformation will be faster and more profound than currently anticipated. CEOs of large public companies would be wise to take action. The early movers win. Those companies that look out a decade and make investments and acquisitions that complement their strengths will prosper. Sustainable technology and infrastructure offer 100% certain market growth. In a world where investors seek growth, these sectors guarantee it. The greatest growth in value will be driven by companies that are integrating technologies, customer access and capital to offer solutions to customers. Large pensions and sovereign wealth funds are increasingly pushing for clear and cross-industry comparable disclosure in environmental metrics as part of ESG reporting. Many incumbents have recognized the certainty of growth and profitability and have entered into these sectors in a concerted and determined manner. Our annual report offers examples of how strategic transactions have helped our clients make an impact on our infrastructure systems. But the journey has just begun. We’re pleased to share our insights into what’s to come.